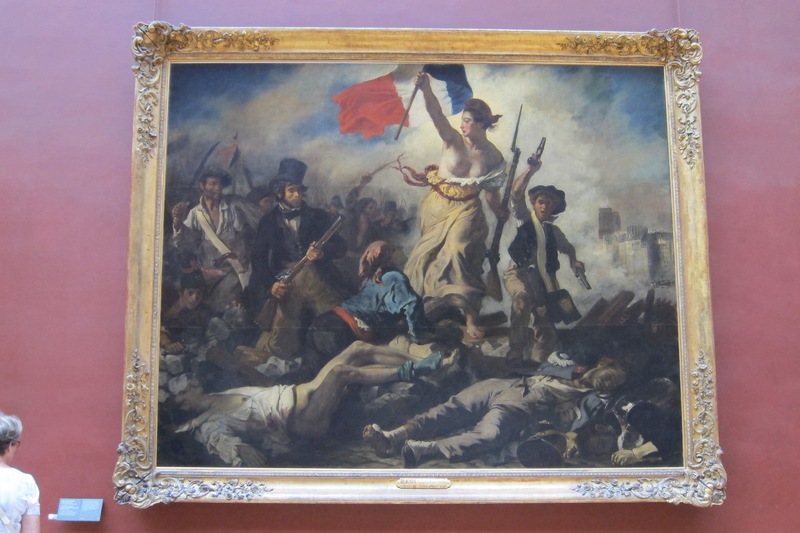 …to see Delacroix’s Liberty Leading the People last week while on a visit to Paris. Is it useful to think about the connections, parallels and contrasts between recent events in the Middle East, Africa, and former Soviet Union, and the French Revolution more than 200 years ago? Sure, the circumstances are quite different, not the least of which, information travels much faster, and coordinated action and change proceed more rapidly than in the early years of the French transition. But one factor tends to be fairly constant: the building of new democracies is rarely a linear path, and is often beset by resistance from vested interests and various counter-pressures. Delacroix’s work commemorates the 1830 July revolution — toppling Charles X — more than four decades after the storming of the Bastille. Watching contemporary political events in the age of the internet, it is too easy to expect rapid, almost overnight, transformation, even when such expectations are unrealistic.